The senior detective in the Egyptian city of Sherbin, Daqahliya governorate, has died of injuries sustained in a gun attack that security officials describe as a terrorist incident, Al-Ahram Arabic website reported. Lieutenant Colonel Ahmed Hussein's vehicle was attacked at dawn on Monday, with militants opening fire on the Mansoura-Damietta Road, northeast Cairo. The Daqahliya Security Directorate said the gun attack was a terrorist incident. The chief detective and his driver were transfered to Mansoura emergency hospital. The police officer was announced dead five hours after the attack, while the driver is still undergoing treatment, according to the governorate's ambulance department. Security troops are combing the area in search of the gunmen, according to security officials. Egypt’s interior ministry raised the national security alert level on Saturday in light of the deteriorated security situation in the region, a top-level source told state-run news agency MENA. 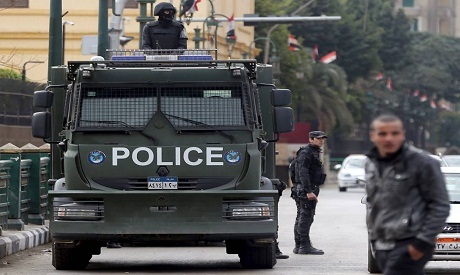 Cairo imposed a nationwide three-month state of emergency in April after twin terrorist attacks on Palm Sunday at the start of Easter's holy week. Egyptian law allows for the state of emergency to be extended for another three months, dependant on a vote in parliament. Egypt has been struggling with terrorist attacks in recent years. Many of the attacks target security forces and are mostly concentrated in North Sinai. Several police and security personnel have also been assassinated. However, in the past year, there have been several attacks on Egypt's Christians, including the Palm Sunday attacks and another attack in Upper Egypt's Minya.